1. Who are you and what are you doing in the nuclear power station in Loviisa? My name is Miroslav Gulčík and I am a site manager of a small, 15-member group of electricians. Our company PPA Energo is one of the biggest companies performing electric wiring in Slovakia. It employs more than 500 people. 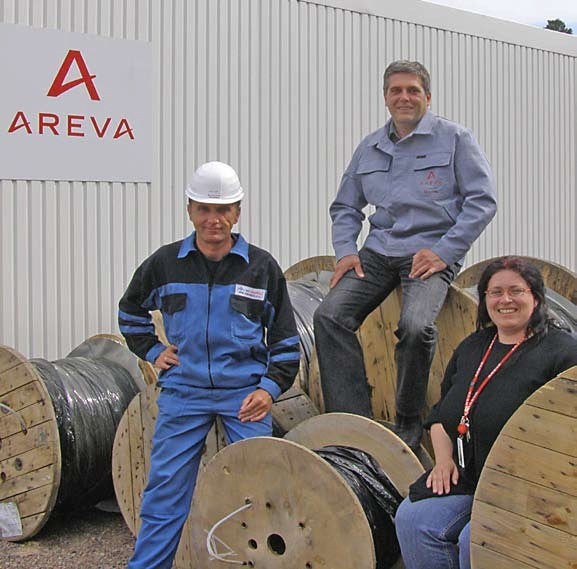 In Loviisa NPP we are a contractor for AREVA in the project LARA. I think it is very interesting to work for this world-renowned company in this important project. 2. Where are you from and what you were doing in the past? I am from Slovakia. PPA Energo is a company focusing mostly on the nuclear sector and I have been working here for almost 15 years. During this period, I have held several positions. Among them, the most interesting was the position of a project manager for German, French and Korean customers in Slovakia and abroad. 3. How do you take safety at your work? Safety is always the most important thing in our work. 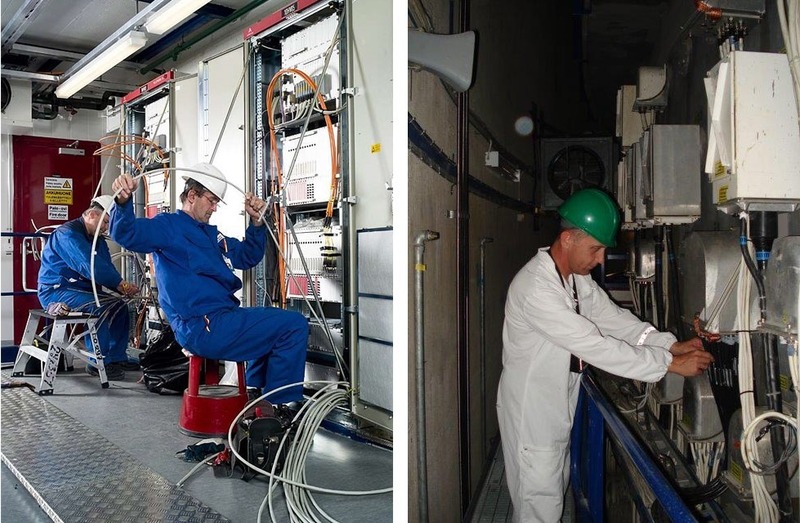 Our team is used to working at nuclear power plants across the whole Europe and safety rules at work are pretty much the same everywhere. Of course, there are certain specialities at Loviisa nuclear power plant and we have to be aware of them. In our work there is no room for mistakes. There are many pros at the Loviisa nuclear power plant. For example, the great advantage of your power plant is that you do not have to build monstrous concrete cooling towers; you can use sea water for cooling system. Therefore, your plant is much smaller than others, such as Central European. That means lower construction costs. Furthermore, in my opinion, there are far fewer people employed in your power plant than in ours. As a result, you achieve the same performance at lower operating costs than we do. Very good thing for us is your storehouse. People who work in it are very nice and we can lend here the tools of personal protection and also some equipment. This facilitates our work, we do not waste time looking for small tools in major cities around Loviisa. And a bad thing in Loviisa? Perhaps only that the decision-making processes sometimes last longer than I am used to. This is probably due to the importance of this project. Never mind, at least I will learn to be more patient. 5. Pros and Cons of Finnish people and culture? Actually, people are the same all around the world. How they behave to you depends on how you do towards them. Finnish people are very friendly, hospitable and patient. Unlike the noisy Slovaks, Finns are very quiet. Sometimes, especially on weekdays, the Finns seem to be a little sad. But fortunately, on Fridays it changes. A big advantage is that almost every Finn speaks English, so I do not have any communication problems. 6. What is your opinion of Loviisa in general? Would you like to live in Loviisa? Loviisa is a very small but very nice and clean town. It has the sea and I love the sea. It is amazing. We do not have the sea, and to see it, we have to travel hundreds of kilometres. I often spend time walking or sitting at the seaside and reflecting on my past and future. If I were twenty years younger and if I had no commitments in Slovakia, I could very well imagine living in Loviisa. However, I am very glad to have my destination, where I always return. There are my two small children. Due to White Nights here I have had a real problem to fall asleep. A Finnish colleague recommended me to put on a pair of black briefs. Apparently, it helps. Well I do not know … does it really? My name is Manfred Schmitz and I am the Head of Commissioning in AREVA NP. After a few years of the start-up work in China, Turkey and Mexico, I now deployed on the Loviisa nuclear power plant. I hope I can cooperate with this group in future as well. Thank you very much, guys and keep it up. Acknowledgements original can be viewed HERE.